Rooms, Equipment, Research Appointments - LibCal Does It All, With Opening Hours Management to Boot! LibCal is an affordable, easy-to-use web platform designed to handle libraries' calendaring needs. Its four distinct modules work together to provide an integrated solution. Hours and Locations Management; Room and Equipment Reservations; Event Registration and Management; and Librarian Appointment Scheduler. Enable users to book library spaces online or with mobile phones. Set up rooms and spaces, customize rules and availablilty, etc. Custom registration forms & images of rooms. Outline Terms & Conditions of room usage. 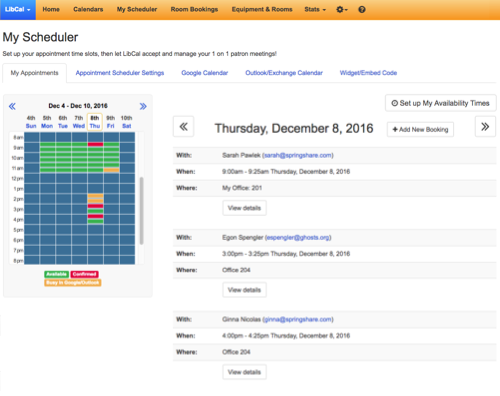 Optionally mediate bookings for each group of rooms. 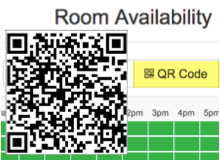 Enable quick mobile bookings with built-in QR Codes. Detailed Statistics on Rooms Utilization. 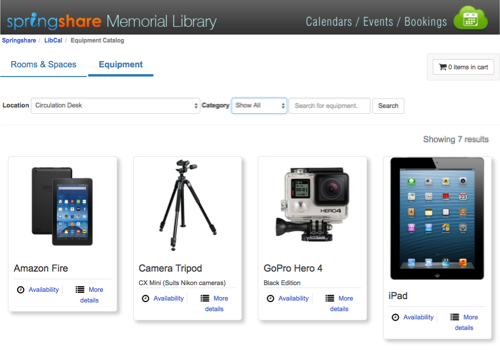 Equipment Booking module enables full check-in and check-out of equipment. Create Maker Spaces inside the library, check out iPads, cameras, equipment... LibCal handles it all! Create a visual catalog of equipment, complete with equipment details, images, number of items available, availability restrictions, etc. Book Equipment alongside rooms and vice versa. Being able to book rooms and equipment in the same system brings improved workflows and a simpler booking process for patrons. 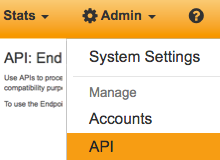 Use LibCal's APIs to integrate equipment booking with the patron database in your ILS for fines management. Increase event attendance and advertise your events online by enabling patrons to register for events and get full event info in one easy step. Create media-rich, informative event pages. Calendar & event widgets for embedding anywhere. Feed calendar events into Outlook, GCal and more. Automatically publish and promote events on Twitter & Facebook. Automatic event reminders for registrants. Make it easy for patrons to schedule consultations & appointments with librarians! 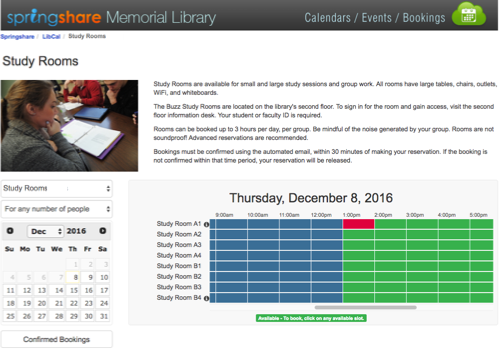 Patrons can opt to meet with a specific librarian or choose the desired time, and the system tells them which librarians are available. Set up availability times, min/max appointment durations, and padding between appointments. Feed appointments into Outlook, Google Calendars, and more. Build custom appointment registration forms. Embed a Scheduler widget into any webpage, in your LibGuides profiles, etc. 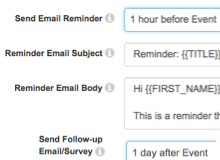 Automatically email post-appointment satisfaction surveys. Detailed statistics on the # of booked appointments, duration, # of cancellations, etc. LibCal integrates with various authentication schemes for easy patron login before bookings or event registrations. We are adding new authentication integrations all the time, so if yours is not listed, please contact us. 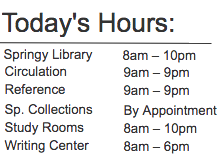 Manage Library hours for any number of branches and distribute hours on other websites via widgets. The opening hours information also feeds into equipment and room bookings. Integrate LibCal functionality into mobile apps or other library systems. LibCal provides powerful read and write APIs for deep integrations with other library systems. Your patrons can reserve rooms and equipment and register for events using their mobile phone - all LibCal screens are mobile-friendly out of the box. LibCal automatically sends out automated confirmation, reminder, overdue, and follow-up emails. Include post-event surveys, too! Produce detailed reports showing how library rooms, equipment, and spaces are being used. What are the peak booking periods, the most popular spaces and items, etc. Events reporting shows event attendance trends, and the appointment scheduler statistics reveal booking trends for research appointments and one-on-one consultations. LibCal produces comprehensive statistics reports to help you make the best use of your library's spaces and equipment. 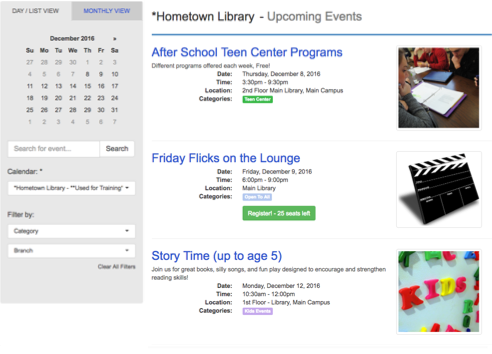 Use actionable data to maximize usage and library offerings to meet the needs of the community. Promote Library Events in LibGuides and embed in Gallery boxes, and add a Gallery box to your LibGuides homepage. Embed Appointment Schedulers inside LibGuides Librarian Profiles and Profile boxes within guides. View LibCal events right inside LibGuides and LibAnswers unified search results. Embed LibWizard feedback surveys in automated follow-up emails. 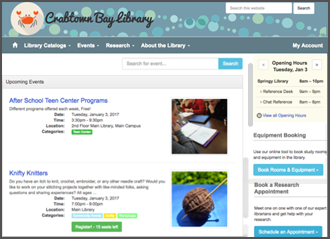 Access event info and promote library events in LibChat while chatting with patrons. Feed event attendence and research appointment info into LibCRM. Compare LibCal statistics with other library services and stats inside LibInsight Cross Dataset Analytics.